This phrase, “Low crime does not mean no crime”, may possibly sound familiar to most of you. Even though crime rates may be low in our country, we should still take the necessary precautions to be safe. That is why in this article, I would be explaining to you about the importance of investing in a good lock. After all, incidents are inevitable but it is important for you to stay as safe and cautious as possible. I am sure you know why investing in high-quality locks are important. It not only keeps your facility safe, it also allows you to go about your day knowing that your place is secure. However, recognising the importance of purchasing a superb lock is not enough. You should also know what kind of locks to get and what to look out for. If you are looking to get a normal lock, ensure that the lock is heavy duty. You should also make sure that the keys of the lock cannot be duplicated. If possible, get a lock that is also pick-proof, to ensure maximum security. 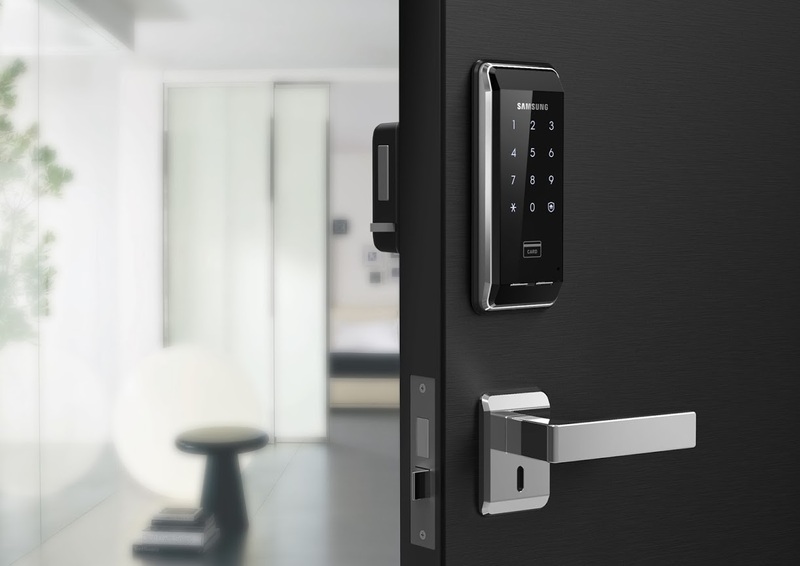 The increasing popularity of digital locks come with a good reason. I (somewhat) fondly remember many times when I got locked out of the house because I have forgotten to bring the keys with me. Or even when my family would come back from a 2-week long vacation to find a set of keys hanging from our keyhole! Digital locks eliminate these problems with the use of access cards, unique combination codes, and/or even fingerprints. This helps to ensure that only the authorised people can enter the room. Most digital locks also come with an automatic lock mode to ensure that your house is always secure. With these tips in mind, the team here at Eezee have specially selected some locks to showcase to you. This digital lock has a double locking system. You can only unlock it using a card access or a code. The award-winning lock has a modern design with a metallic outer body that suits any door exterior. The Samsung digital lock has a red circle LED indicator that allows for a more convenient entrance and exit verification. In addition, if you purchase this digital lock on the Eezee platform, you will receive a complimentary installation of the purchased lock. Next, we have Igloohome Smart Mortise Lock. Did you know that Igloohome is a home-grown brand and a global partner of Airbnb? 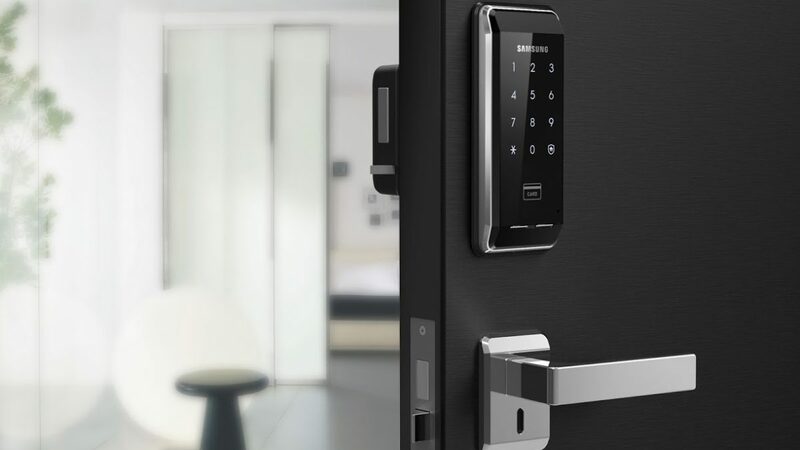 What is amazing about the Smart Mortise is that it can be linked with your smartphone and you can set up your passcode right from your handy device! Furthermore, you can even view past access logs and track when any family members or visitors have accessed the lock and entered your home. It also has 4 different modes of entry – Bluetooth, PIN code, key cards and physical keys – so you no longer have to worry about being locked out if you forget to bring your keys along. Worried that someone will tamper will your locks? Worry not, the lock will sound if anyone attempts to pry the lock. Also, if an invalid PIN is entered 5 times, the lock will go into security lockout mode and will not operate for 5 minutes. The igloohome Smart Mortise lock ensures that your home is kept safe and secure. If you prefer the traditional key and lock combination, we recommend the ABLOY Bass Padlock PL341. The padlocks by ABLOY provide maximum resistance from physical attack. The padlocks come with hardened, free-spinning protection plates that prevent drills to penetrate the lock. The special system in ABLOY padlocks is also pick-proof which ensures maximum security. This particular PL341 model is grade 3, made with high-quality brass, and has a chrome finishing to ensure a slick design. I sincerely hope that you have learnt something about the different types of locks and the considerations that you should take before purchasing a lock. If you have any comments or suggestions, please feel free to leave them in the comments section below!